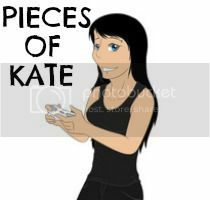 Pieces Of Kate: What's in my washbag? Oh my god it feels good to be properly back to writing up blog posts again. Things have been extremely frantic one way or another with Valentines, work, having a really nasty head cold ( which i'm still nursing ) and our Sarah being on half term but i'm now back in top form woohoo! 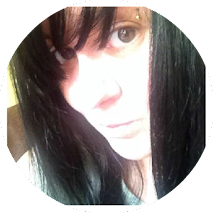 Because life has been pretty manic for the past couple of weeks, i've really struggled with inspiration for blog posts. I haven't been able to buy anything to review because with bills and a holiday to pay for, the money doesn't stretch very far but it came to me when i was getting washed the other day that i would do a what's in my washbag post and then do another post on my make up bag. Everyone loves a good nosey through your stuff don't they. So this is my washbag and i absolutely love it. My best friend Shell bought me this for my birthday last year so i'm afraid i can't tell you where it's from ( sorry ). I love the whole postage theme around it, like it's a big brown parcel. So sweet. 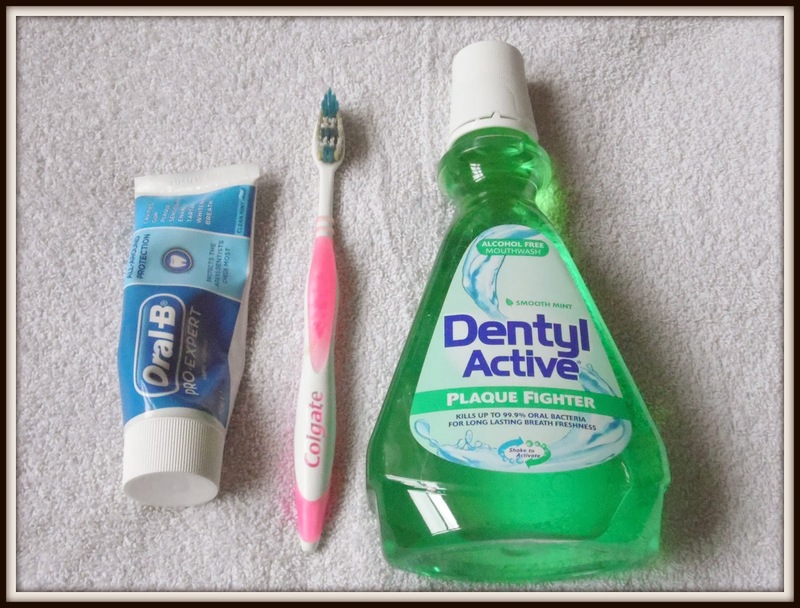 First up is the oral side of cleanliness if you will. I've always used Dentyl Active mouthwash because due to the kanker sores i suffer with, most mouthwashes really irritate them but this is really gentle and you can see the crap it pulls away from the teeth when you spit it out which is immensely satisfying. As greatful as i am that i don't have oily skin, i'm kinda pissed that i have extremely dry skin as do all of my family so i have had to moisturise my skin pretty much all my life. 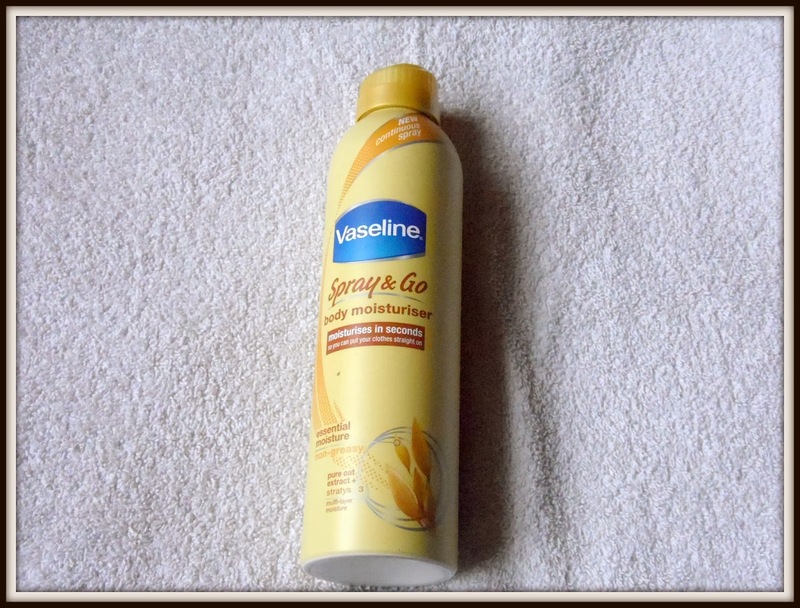 I have always used the Vaseline brand moisturiser and i was thrilled when i came across this spray version. One thing i hate is when you have moisturiser all over your hands and it goes all over the bottle eeewww but this takes that problem away nicely. An essential item for me. 2 very important pieces in my wash bag. Firstly is ' The Ultimelt ' deep purifying hot cloth cleanser from Soap & Glory. This stuff is amazing, it's like having a steam facial at a spa. You basically rub it all over the face and then wipe it away with a hot flannel or with the included muslin cloth. It leaves my face feeling invigorated and is a god send in the colder months. 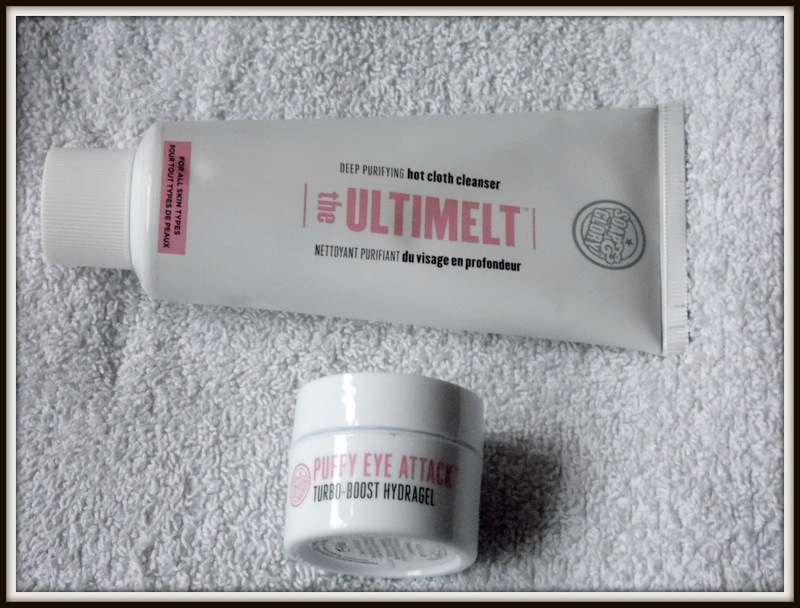 Next is Puffy Eye Attack tired boost hydragel from Soap & Glory. I always have bags under my eyes and constantly look tired so i apply this gel in the morning and before bed under my eyes and it takes away the puffiness for an instant awake look. 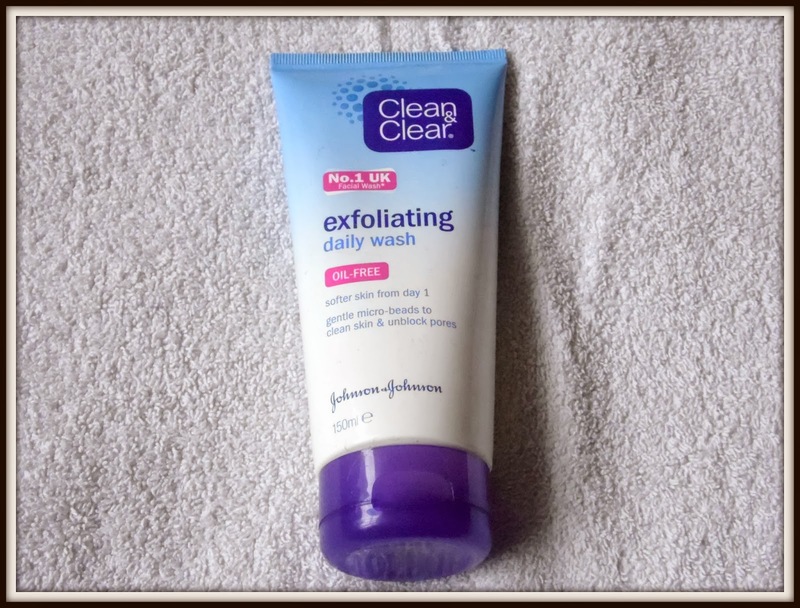 This Clean & Clear exfoliating daily wash is like an old friend to me. I've been using this product since i was a teenager so well over 10 years now and i'm 100% loyal to it. With my dry skin, i get an excessive amount of skin build up on my face and i need something that i can exfoliate with to renew and remove the dead skin cells and this is it. It's cheap, it smells nice and it does the job. Simple as that. My final products are the more gentle side of my wash bag. 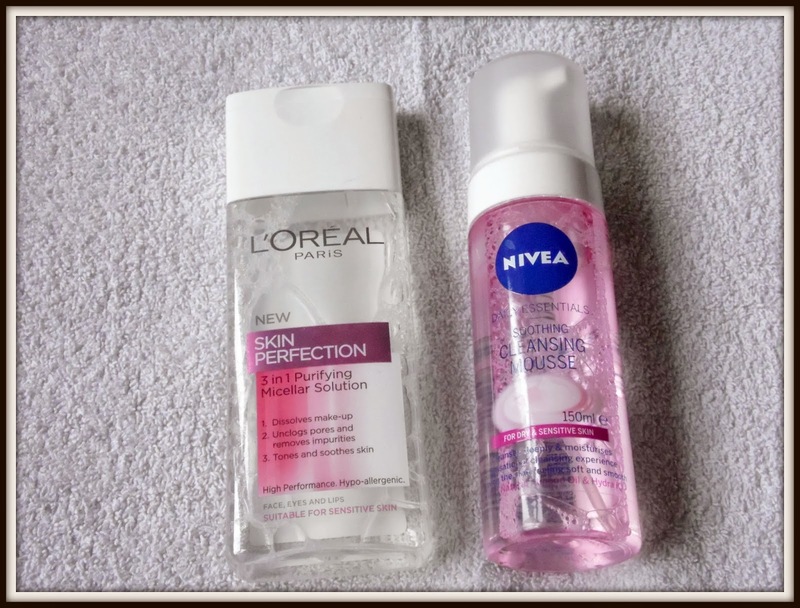 Firstly is the L'Oreal Miceller solution ( I did a blog post on this here ) and the Nivea cleansing mousse. After i've used the exfoliator, i need something gentle to use afterwards to calm my skin down and this stuff is amazing for that. It's so gentle and feels great on my face. 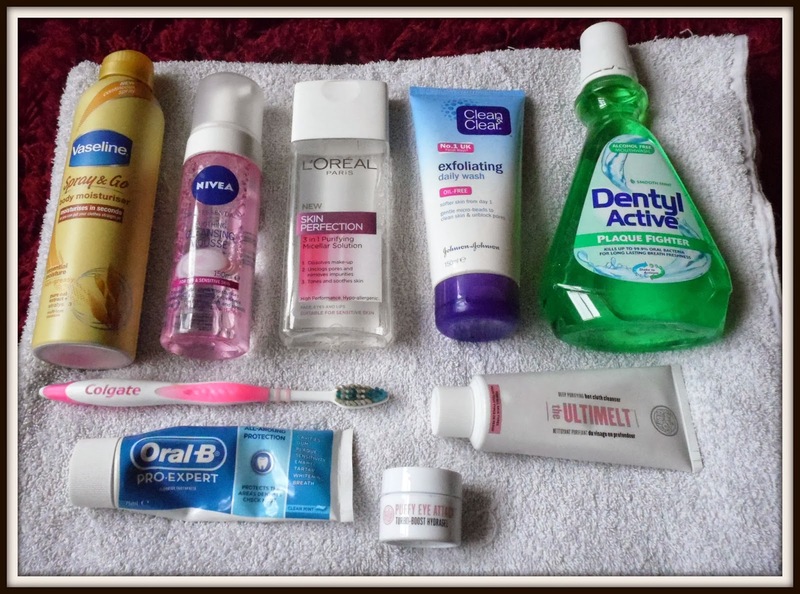 What are your washbag favourites?